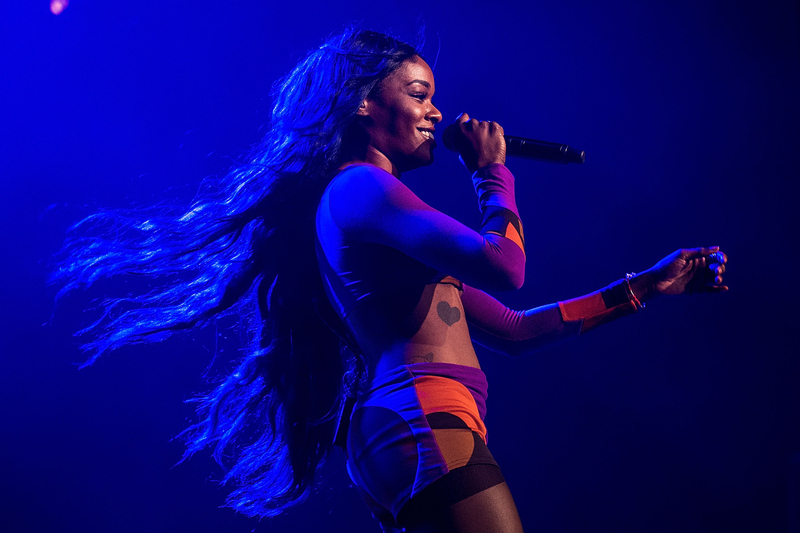 Azealia Banks was arrested early Wednesday after she allegedly attacked a female security guard outside a nightclub in New York City. Police officials confirmed to ET that the 24-year-old rapper was taken into custody at 12:46 a.m. Wednesday morning. According to police, Banks became "verbally abusive" as security escorted her out of the club. Banks then allegedly assaulted one of the guards, which included biting her breast. Police officials tell ET that Banks allegedly punched a female security guard and then "bit the victim on her breast causing swelling and redness to area." Banks was charged with assault, disorderly conduct and harassment. It's unknown at this time if Banks is still in custody. According to Page Six, the bizarre incident occurred at the nightclub Up & Down in New York's West Village neighborhood. Banks was reportedly at the club for a private party but allegedly got into a dispute with the club's bouncers and was forcibly escorted from the premises. ET has reached out to Banks' rep for comment. In September, Banks was caught on video getting into a heated verbal altercation with flight attendants on a Delta Airlines plane. During the incident, Banks was recorded using homophobic slurs against one flight attendant. Banks later defended her actions on Twitter, writing, "I am bisexual. my brother is trans. My employees are all gay men. Nothing else to say." Although Banks quickly found more to say when she followed that comment with another tweet: "Cause y'all KNOW, that they would've politely handed a white woman her bags and a spritzer. #whatever." Banks has not yet publicly addressed or commented on her recent arrest.